Ladybrook Tor is not this tor shown on the map. 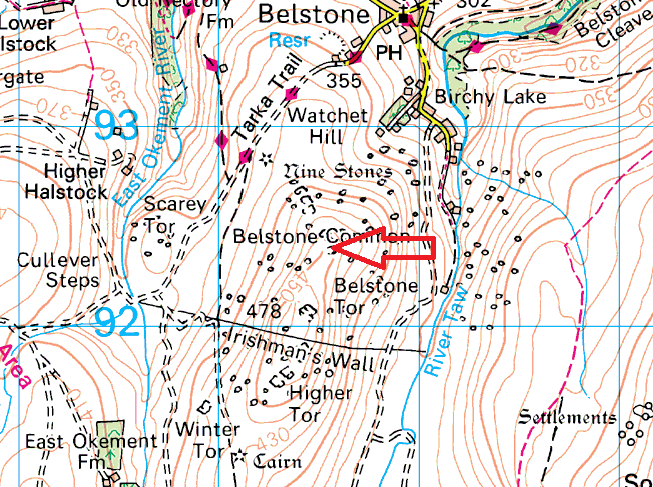 In fact I have recently been pointed at plenty of evidence to show that Ladybrook Tor is actually Ottery Tor on the other side of River Taw from the spot marked on the map below. 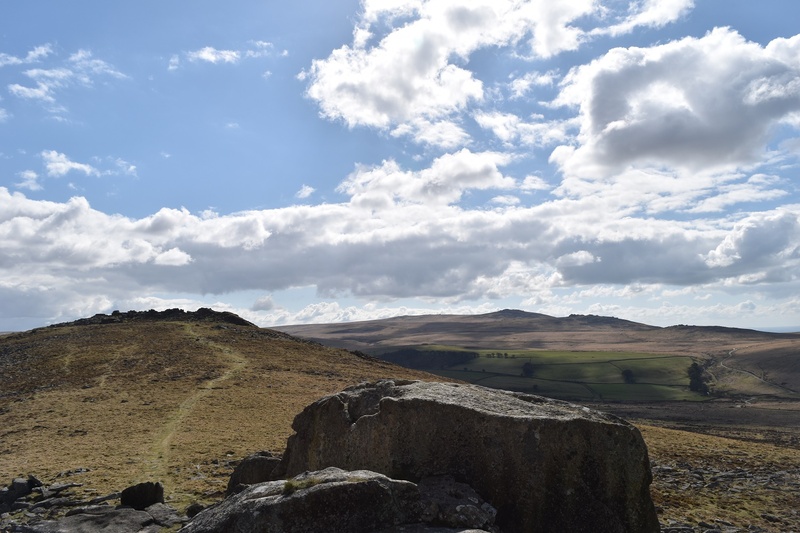 See the Ottery Tor page for the location of Ladybrook or Ottery Tor.